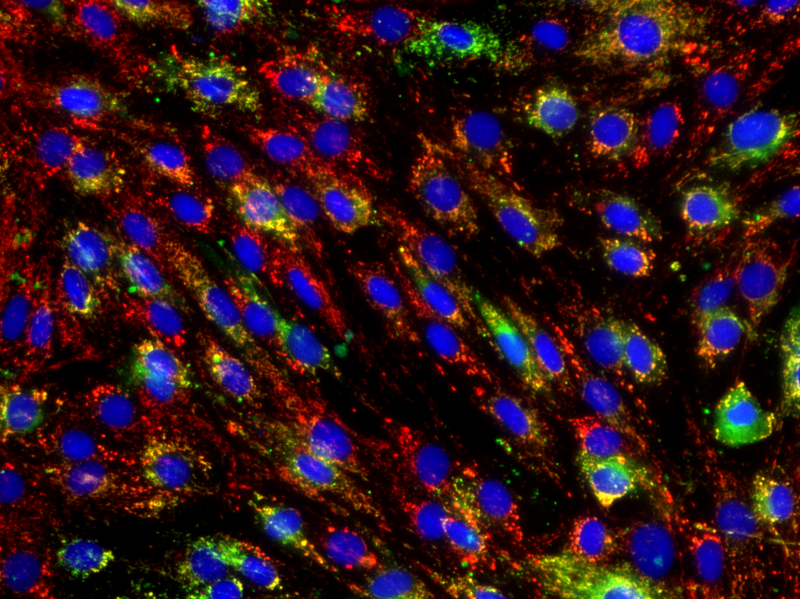 Image of mitochondria in heart cells after the levels of TTP (the master regulator of cellular iron conservation) are reduced. Northwestern Medicine scientists have discovered a protective cellular mechanism that kicks in during iron deficiency, keeping cells running even in the face of continued iron deprivation, according to a study published in the Proceedings of the National Academy of Sciences. The protein, called tristetraprolin (TTP), is activated during iron deficiency, and lowers iron usage to match availability and prevents mitochondrial dysfunction, according to Hossein Ardehali, MD, PhD, professor of Medicine in the Division of Cardiology and senior author of the study. Hossein Ardehali, MD, PhD, professor of Medicine in the Division of Cardiology and senior author of the study published in the Proceedings of the National Academies of Sciences. Iron deficiency is the most common nutritional deficiency in the world, according to the study. When iron levels are low, cells activate proteins to increase iron uptake. However, it was unclear how cells respond when the expected iron never arrives. To answer this question, Ardehali and his colleagues examined regulatory interactions between TTP and mitochondrial proteins. Ardehali’s group had previously found TTP to be upregulated in iron deficiency, so the scientists knew TTP played a part in the protective mechanism. In the current study, investigators found TTP directly regulates a specific protein in complex III of the “mitochondrial electron transport chain,” a system which transports electrons through a chain of proteins and pumps out protons. If the mitochondria is an assembly line, complex III is in the middle of the process, transforming raw materials into parts required for manufacturing the end product: energy for the cell, in the form of ATP. However, complex III requires iron in the form of iron-sulfur cofactor, and iron deficiency can cause it to stop working. In iron-deficient mitochondria without TTP, electrons are shuttled to complex III but left unused, causing electrons to leak into the intermembrane space of the mitochondria. To prevent this, TTP degrades a specific protein in complex III, which results in the lack of formation of an “apo-complex III” without the required iron-sulfur cofactor. This in turn results in less electron transport, less potential electron leakage and avoids production of toxic compounds. These findings suggest that intravenous injections of iron — a clinical treatment that’s gained popularity in recent years — may be unnecessary, explained Ardehali. Instead, Ardehali believes reducing mitochondrial iron in heart cells — using a chelator chemical that binds to mitochondrial iron and makes it unavailable — could treat patients with heart failure, with preliminary data to support the hypothesis. Ardehali is also a member of the Robert H. Lurie Comprehensive Cancer Center of Northwestern University. 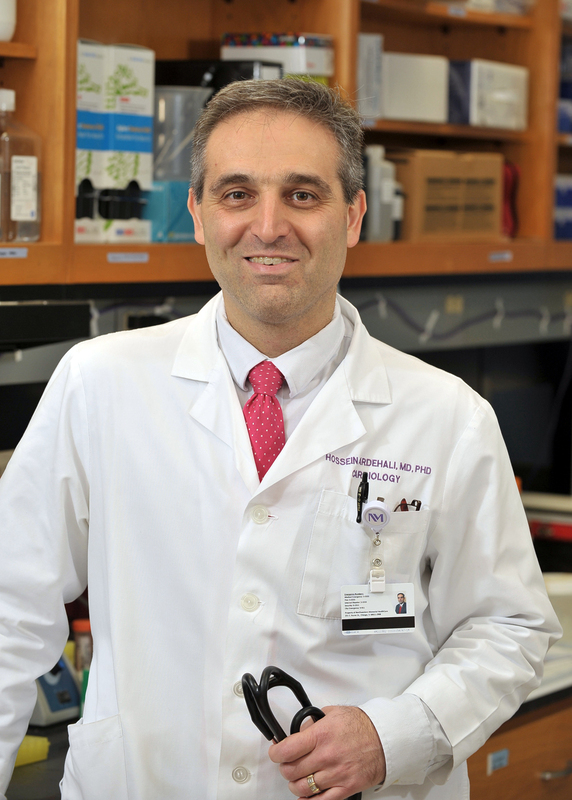 Read about Ardehali and other cardiovascular investigators at Northwestern Medicine magazine. Other Northwestern Medicine authors include Tatsuya Sato, MD, former postdoctoral fellow in the Ardehali laboratory, Issam Ben-Sahra, PhD, assistant professor of Biochemistry and Molecular Genetics, and several current Ardehali laboratory members, including Hsiang-Chun Chang, MD, PhD, postdoctoral fellow and co-lead author of the study, Jason Shapiro, MS, student in the Medical Scientist Training Program, Hidemichi Kouzo, MD, postdoctoral fellow, and Chunlei Chen, MS, technical staff. Economy, Industry and Competitiveness (Mineco); Mineco Grants BIO2014-56298-P and BIO2017-87828-C2-1-P and the European Regional Development Fund and Grant AICO/2015/004 from the Generalitat Valenciana.